It’s incredible to think that a condensed section of Chicago’s population would go on to produce some of the most influential records in underground music history. Ron Trent for example grew up having Theo Parrish as a neighbourhood friend & throughout school, attended parties organised by Kirk Townsend at Mendell College, three blocks away from his house. 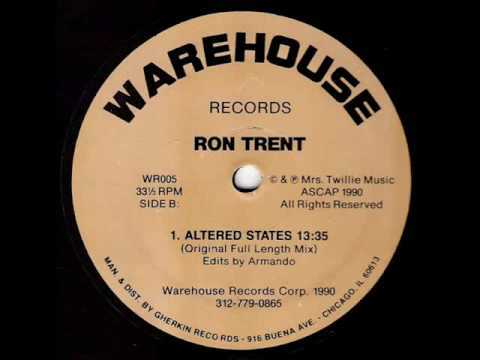 It was at these parties that Trent was able to hear DJ’s like Steve Poindexter, Frankie Knuckles & Ron Hardy spin records until they were old enough to experience the infamous Warehouse club. Armando Gallop (mentioned in our previous article Muzique Records) gave Trent his first break & released ‘The Afterlife’ EP on his Warehouse label. The record was originally produced in 1986/7 & featured ‘Altered States’, a track Trent that created whilst experimenting with his friends Roland 626 & 909; he was fourteen at the time. Trent went on to release the ‘States’ EP on Green Velvet’s label Cajual Records & teamed up with Chez Damier to not only produce together but to create seminal House music label ‘Prescription Records’ in 1993. Chez Damier’s released three EPs for Prescription Records & Derrick Carter’s short lived label Blue Cucaracha under the alias Noni, in honour of Trent’s daughter. Teach / Keep Me (Satisfied) featured on ‘The Gift’ EP samples Midway’s classic ’84 hit ‘Set it Out’ [the same sample is also used in Omar S’ Set it Out].